Rotary recently welcomed another Corporate Member - Woolworths Mission Beach. 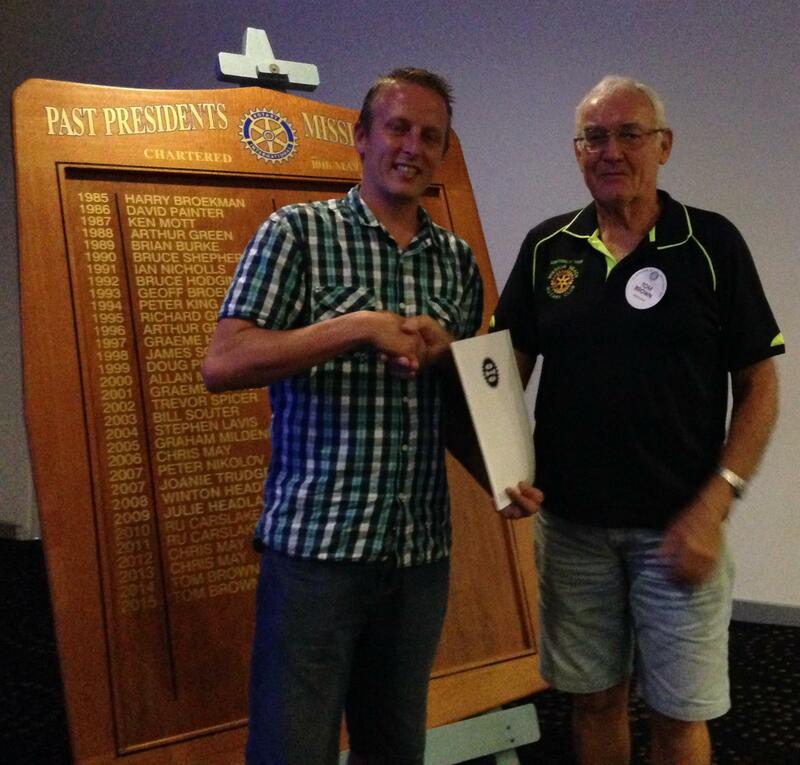 Pictured below is Cameron McKeon accepting the Welcome Kit from President Tom Brown. We look forward to working with Woolworths on many future projects and events.